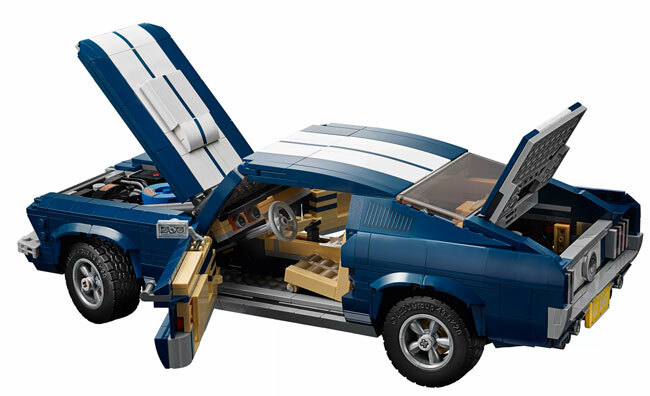 I suppose this almost counts as Steve McQueen Lego, as this is a 1967 Ford Mustang Lego set. 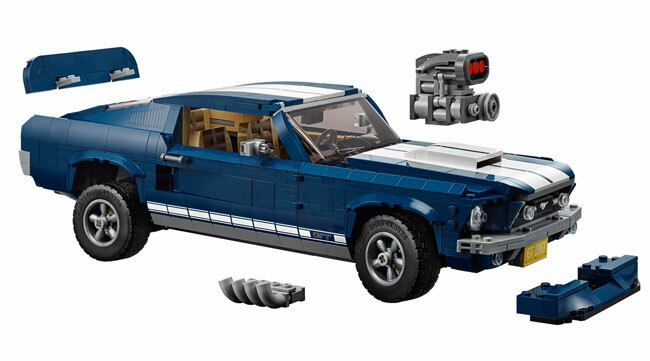 As you are no doubt aware, the Ford Mustang was at the heart of Steve McQueen’s Bullitt movie. 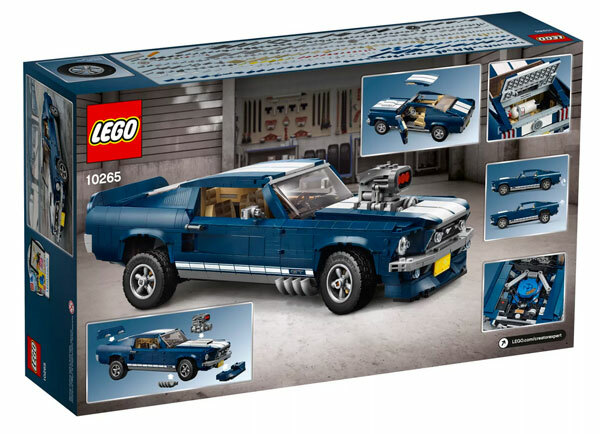 Now, Lego hasn’t christened this set the ‘Steve McQueen Bullitt Lego set’, but this set is based on the car of that era. 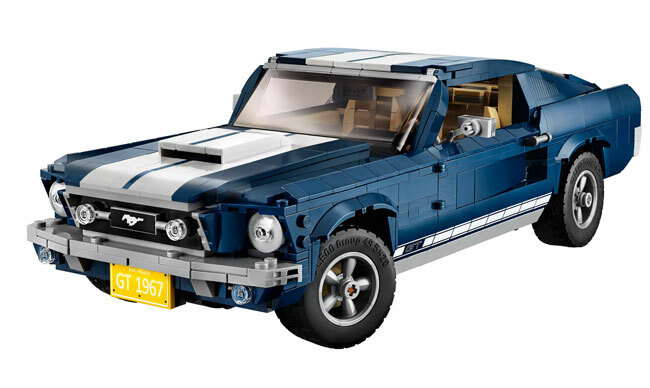 The plate says 1967 and with Bullitt made around that time, you can see that Lego is definitely playing to that market. But it has taken care to keep just far enough away from the movie car. 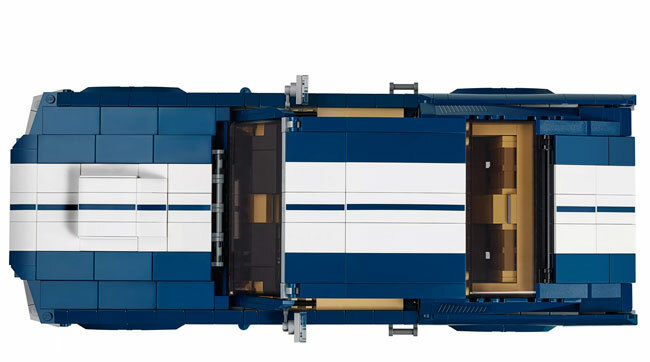 No green shade here (the model set is blue) and stuck in some racing stripes too. 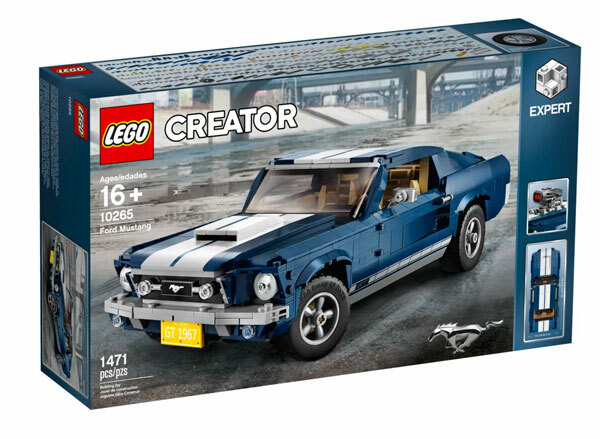 There are also customisable options in this 1,471-piece set too, should you like the ideas of turning a classic Mustang into a muscle car. In short, this is the car of the era, but not quite a replica. I can only assume there would be rights issues if you got too close to McQueen’s car. The finished model has an air scoop, five-spoke rims with road-gripping tyres and a detailed interior with seats, radio, mid-console gearstick and working steering. Open the boot to store items and lift the bonnet to reveal a detailed Ford Mustang V8 engine with battery, hoses and air filter. 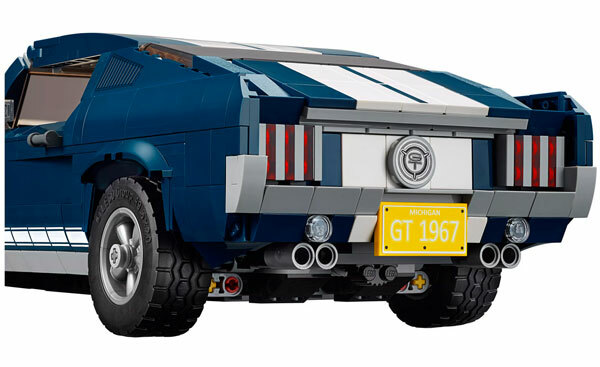 The set also includes a printed mustang grille badge and two GT emblems and if you want to rework the car, the set also includes a supercharger, rear ducktail spoiler, ‘beefy’ exhaust pipes, front chin spoiler and a nitrous oxide tank. Finally, you get to choose from a selection of license plates. Now the bad news. This set has been ridiculously popular since it launched and right now, there is only the option of a back order. Saying that the back order will be shipped by the 4th April 2019 if you secure one at a price of £119.99.